St. Teresa, desired that her nuns to be true friends of Jesus and of each other. So a trusting and joyful community spirit is also at the heart of our lives. 1) The Liturgy calls us together throughout the day. 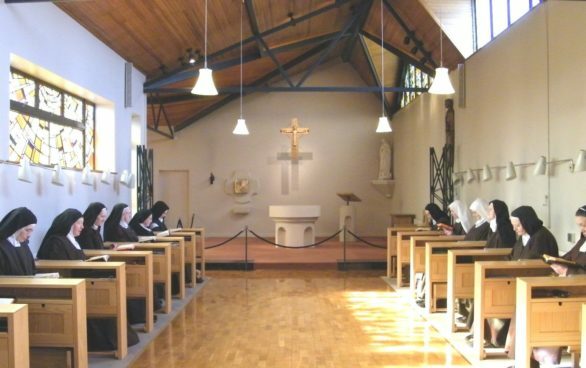 And whether we spend our two hours of silent prayer in the chapel together, or go alone to the garden or cells for them, our faithfulness to prayer strengthens our bond of love. 2) St. Teresa wished us to come together, daily, for recreation. 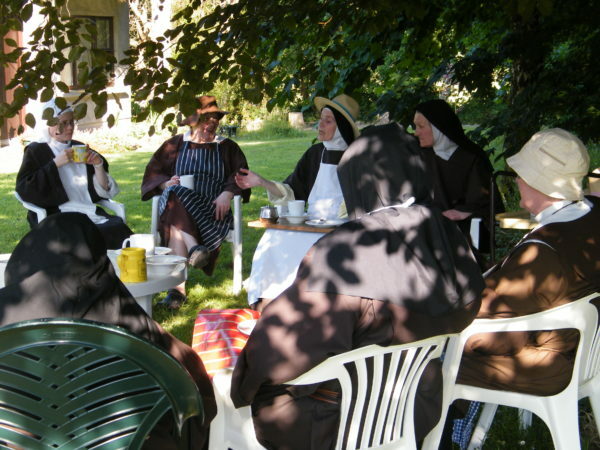 These times of relaxation and happiness encourage trust, friendship and understanding between the sisters. 3) Usually we eat our simple, wholesome meals together in silence. At dinner and supper we listen to reading from scripture or other books. However, on great feast days, and special occasions, we have festive fare and rejoice and talk freely at meals. 4) Once a week we have a community meeting where we listen and ponder on the Scriptures. In the light of the Word of God, (or some other text important to our life), we discern and, if we wish, share how the text encourages or challenges us as we seek to follow Jesus in our daily life.